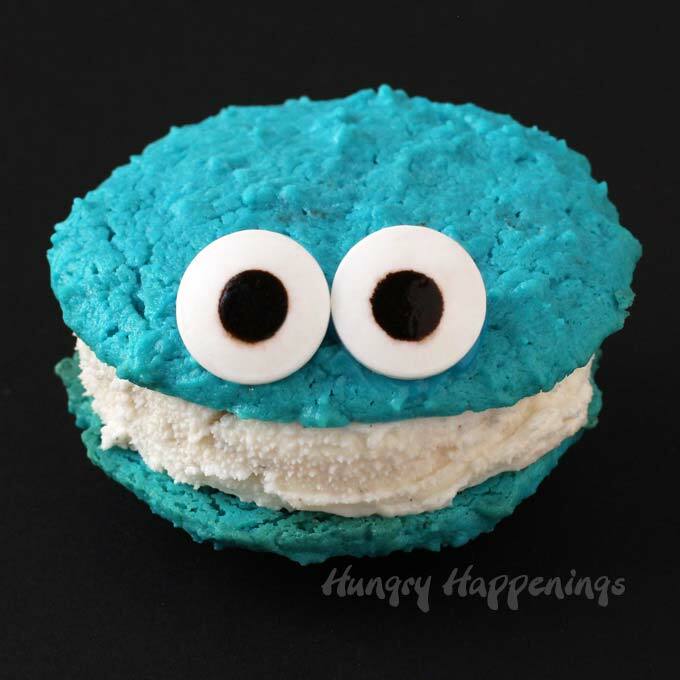 Cookie Monster Ice Cream Sandwiches – Cute Cookies! July 7, 2017 By This post may contain affiliate links. Turn wonderfully soft sugar cookies into these adorably cute Cookie Monster Ice Cream Sandwiches. It’s so easy and so much fun. How much do you love Cookie Monster? How about cookies and ice cream? “ME LOVE COOOOOOOOOOKIES” NOM, NOM, NOM!!! 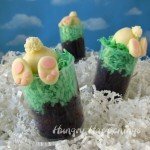 I had so much fun creating these cute frozen treats for some adult friends who grew up watching Sesame Street. They are all big kids at heart and they thought the simple Cookie Monster cookies that I used to make these ice cream sandwiches were just adorable. One friend swore she could never eat Cookie Monster and wanted to just admire his cuteness, but the next thing I knew her ice cream sandwich was gone. She said she couldn’t resist taking the first bite after hearing all the happy sounds coming from everyone else in the room. All of these frozen desserts disappeared quickly. These ice cream sandwiches have a wonderful flavor thanks to a cookie recipe made with cream cheese, vanilla and almond extracts. The cookies taste great with vanilla or chocolate ice cream sandwiched in between them and they are nice and soft so they are easy to eat even when frozen. When making the cookies I wanted them to look a bit furry, so I used a fork to create spikes all over the cookie dough before baking. You can see how in the video below. The effect is not as pronounced as I hoped it would be, but I liked it better than the plain round cookies. If you are in hurry when making these you can skip that step, just be sure to flatten the cookies slightly before baking. Watch the video tutorial to see how you can make these Cookie Monster Ice Cream Sandwiches at home. You can find supplies needed to make these Cookie Monster Ice Cream Sandwiches from Amazon (commission earned for sales). 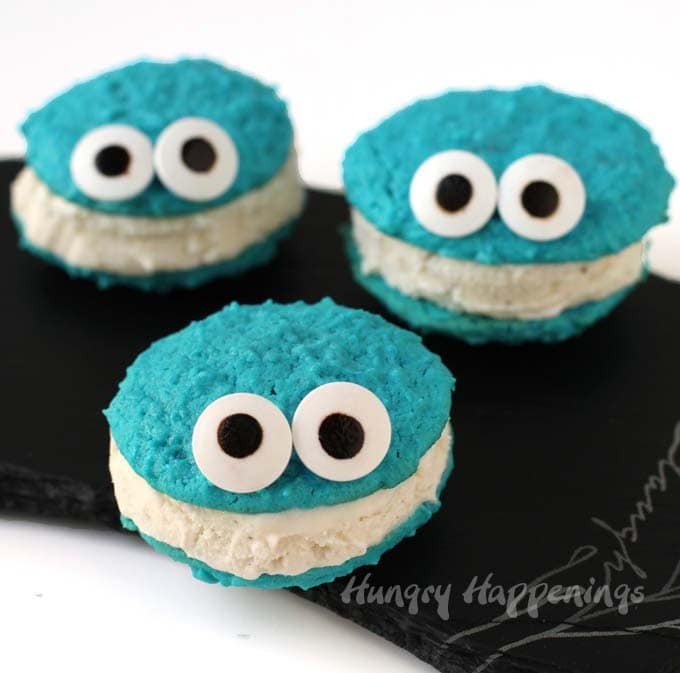 Cookie Monster Ice Cream Sandwiches - Cute Cookies! 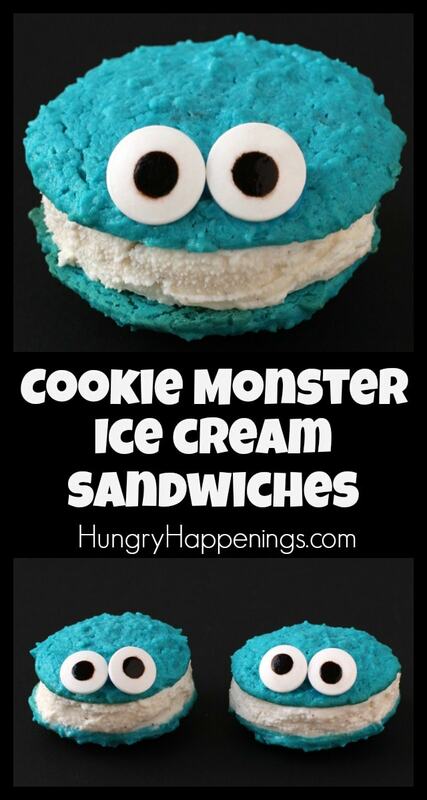 Cute blue Cookie Monster Cookies with ice cream sandwiched in between. Combine butter and cream cheese in a mixing bowl. Add sugar and beat until well mixed. 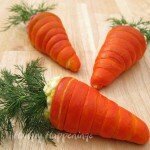 Pour in egg, vanilla, almond extract, and food coloring and beat until creamy. Whisk together flour, baking powder. Stir the dry ingredients into the wet just until combined. Scoop out 40 heaping tablespoons of dough and set on parchment paper lined baking sheets. Use a fork to spike the dough to make it look furry, if desired. 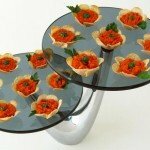 Bake one tray at a time for 12-16 minutes until the edges of the cookie feel set and the tops no longer look wet. Peel cookies off parchment paper and pair them up based on size. 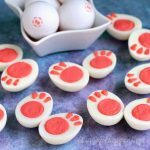 Use blue cookie icing to attach two candy eyes to half of the cookies. Place a scoop of ice cream in between two cookies. Allow your ice cream to soften a bit before making your sandwiches. The cookies are quite soft, so you might want to freeze your cookies for about an hour before making the ice cream sandwiches. 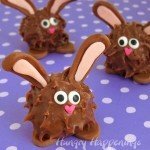 I wanted my Cookie Monster Cookies to look a bit furry so I used a fork to prick the dough and created spikes all around the cookie dough ball. As the cookies baked the spikes melted a bit, but the cookies still had a furry appearance. When I just scooped and flattened the dough a bit it didn’t look nearly as cute. If you prefer, you can dust a cutting board with flour and roll out the cookie dough and use a round cookie cutter to make the Cookie Monster cookies. 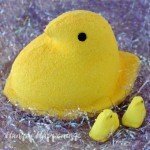 The candy eyes will bleed slightly once they have been frozen. Just be careful not to touch the eyes when you remove the cookies from the freezer and you’ll be fine. 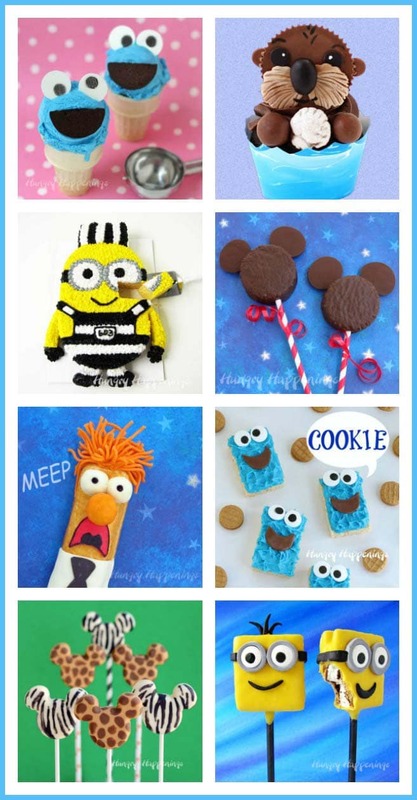 If you love these cute Cookie Monster Ice Cream Sandwiches you might also like these other sweet cartoon character desserts. Completely adorable, me love cookies too!! LOL! 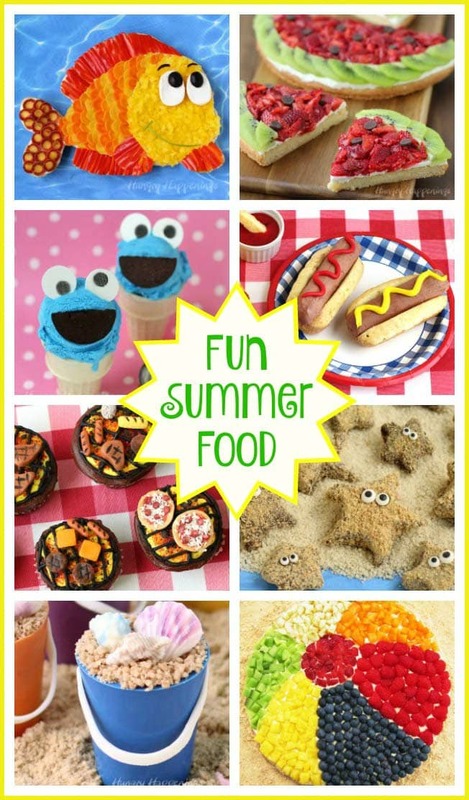 I have no trouble eating cute food, but I have one friend who saves everything I make (except ice cream treats). 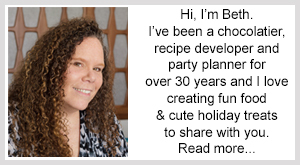 She has an entire shelf in her kitchen devoted to my sweets. I prefer when people eat the treats! I’m glad you would.